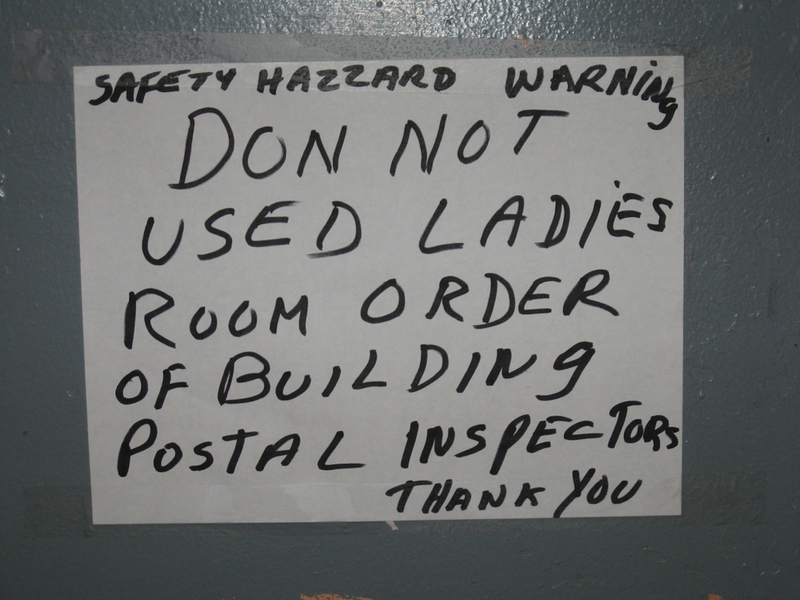 Could not resist posting this notice affixed to a restroom door at an East Harlem post office. Your illiterate government at work, ladies and gentlemen. Please Feed the “All-Access” Animals	The Gift of Journalism?